Ah, in my mind it will be a waltz. And the music will be provided by The Band, with appearances by Bob Dylan, Emmylou Harris, Eric Clapton, Joni Mitchell, and Muddy Waters, along with a few others…including another Canadian. 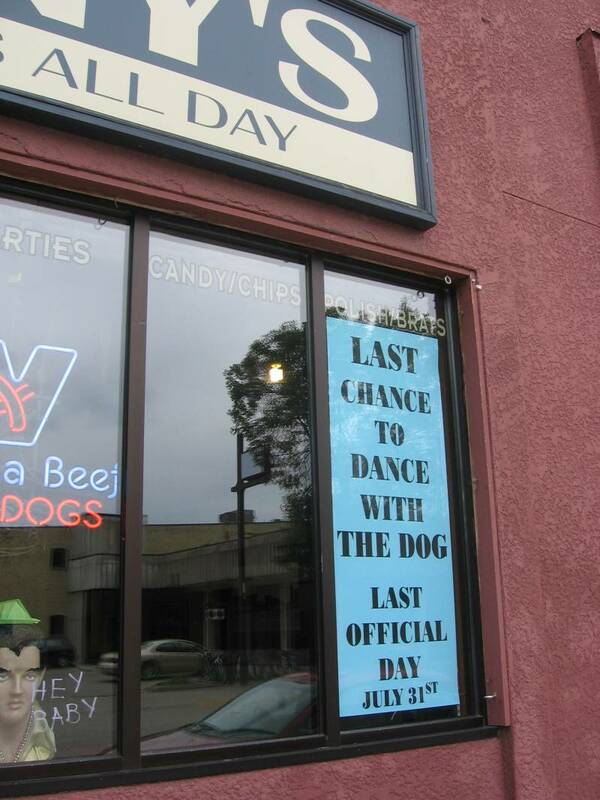 For over 6o years, Tiny’s has served the people of Northfield. Young and old, natives and aliens, carnivores and vegetarians…all were welcome. On Saturday, July 31st, it all comes to an end. Due to a variety of financial burdens, and the considerable challenges of running a small business, owner Tim Sellers is closing down.